In this third installation of our new series on the impact of foreign exchange on small to mid-sized companies, we look at five key things to look for when choosing a local partner when doing business in overseas markets. Expanding abroad can offer a lucrative channel through which to expand your business and grow your profit margins. But, each foreign market comes with its own unique set of challenges and risks. This is why it's essential to identify the right local partner to help your business reach its full potential. Many companies choose an international agency to help them enter into—or expand current operations in—a foreign country. Going with a well-known international services provider can be a convenient choice. But, these international agencies are not always priced with SMBs in mind, and oftentimes end up using in-country local agencies anyway. By cutting out the middleman and going straight to the local agency, or partnering with a service provider with active on-the-ground presence in each of your overseas markets, you can expect to pay less. You will generally receive a more informed service too, and save time through direct access to an on-the-ground partner. The right local partner for your company should have a demonstrable track record. They will have a list of international clients, a good reputation among clients, and ample experience in their sector. Recognition of their client service in the form of industry and client awards is also a strong indicator that they are a reliable partner for your company. A reputable local agency should be committed to international business standards of excellence, with an emphasis on good service, strong results, and effective communication. Don't hesitate to ask about their mission and company code of conduct, to be confident that they align with your own. Reading a company's code of conduct can provide excellent insights into their entire approach and what you may expect from their service. Being fully compliant with jurisdiction-specific regulation in each market is essential. If you have interests in multiple overseas regions, a partner with local operations across these markets is ideal. Ideally, you will work with a partner that provides an efficient product to meet your needs, which integrates seamlessly with your own system. This should be complemented with a commitment to great customer service. You can evaluate the services that each provider you consider offers, but it is also important to ask the right questions. How quickly can you integrate their product(s) and have your team fully up to speed? Are they on hand to help? How may they assist you troubleshoot specific problems? It is the quality of the service provided that elevates strong partners above the average. 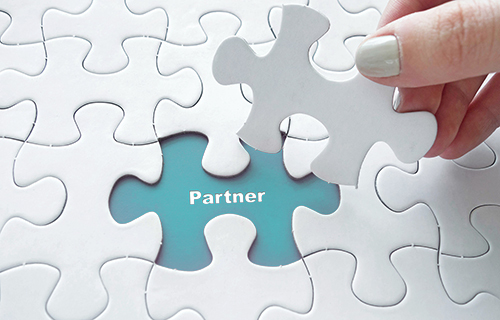 Can your partnership with a provider lead to entirely new revenue streams to complement your core business? If so, not only does it raise the possibility of generating new income, it is also an indicator of the provider's quality in general: they are confident of what their products can do so much so that it can help generate new revenue. When benchmarking potential partners, ask how they can help create new revenue streams, or even strengthen current client relationships. To optimize your success when doing business abroad, the right local partner is critical. Identifying this partner should not be a rushed process. Rather, a benchmarking process that follows due diligence will set up your company in a good position in the long run, protecting your profit margins and boosting revenues abroad.